April 1 proved another momentous day for debate on Brexit down at Westminster. But let’s cast aside the fact that the next round of Indicative Votes on Brexit in the House of Commons was taking place, as well as forgetting (or not) the sight of 11 semi-naked protesters from climate change campaign Extinction Rebellion, who glued themselves to the public gallery screen during the Brexit discussions. 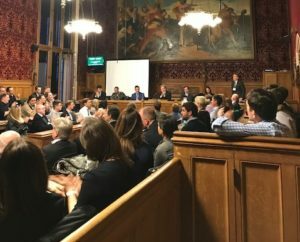 No, the real action was taking place in Committee Room 10, where the advertising industry came together to debate the motion that “Despite Brexit the UK will be the pre-eminent advertising hub on the world stage post-Brexit”. The Advertising Association is a long-term member of The Debating Group, which has held debates in the House of Commons on politics and marketing since 1975. 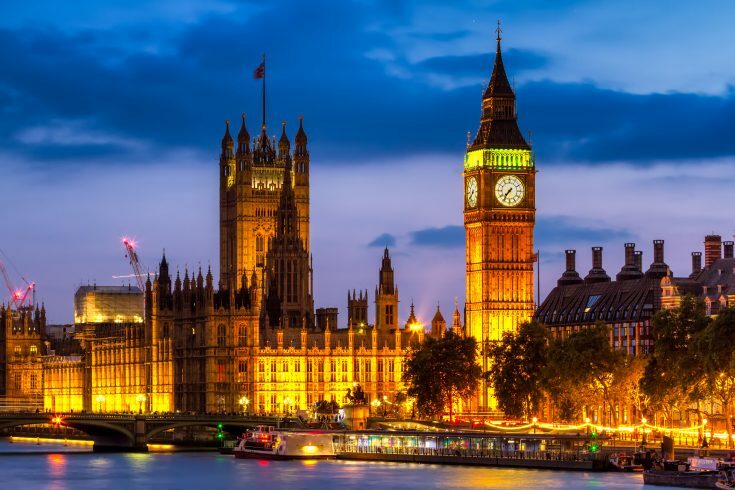 We at the AA sourced the speakers supporting the motion in favour of the UK’s continued role as a world leader, while our friends at the UK Chapter of the International Advertising Association (IAA) were charged with finding speakers against. This was the first time a jointly sponsored industry event had been held by the group. It was also the first event to be chaired by our MP MC Ian Lucas, Labour representative for Wrexham, who highlighted that advertising is a ‘very special industry’ and mentioned the close relationship he has with both the AA and the IAA. Speaking in favour of the motion in this gladiatorial Brexit battle were Steve Davies, CEO of the Advertising Producers Association and Sarah Jenkins, CMO of Grey London. 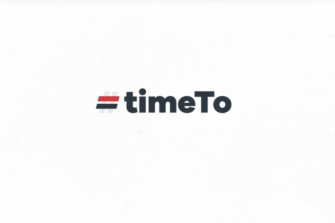 They faced off against Matthew Bloxham, Head of EMEA Media, Technology & Telecom Research, Bloomberg Intelligence and Sarah Taylor, Client Partner at Finch Factor. 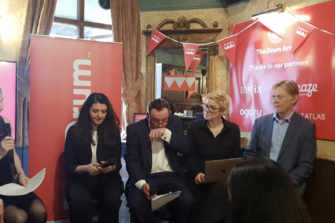 The debate opened with Steve Davies setting out his stall as to why the UK will remain the global hub for advertising whatever Brexit might bring. He highlighted the enormous contribution of our industry talent in the UK and the technological prowess that sets us apart from the competition, with the UK having the highest percentage share of online adspend in the world at 58%. He also recalled the words of US presidential advisor and founder of H Robotics, Pippa Malmgren at the AA’s LEAD summit at the end of January, where she outlined the importance of the London/Oxford/Cambridge technology triangle to the world economy and the fact that emerging markets such as Mexico are very keen to do a trade deal with the UK above other countries. Steve explained that it’s not just advertising where the UK leads the way, but that our ad success is reflected more widely in TV, fashion, art and ‘starchitects’ at the forefront of innovations in their fields. Finally, he got down to the geographic and practical factors that make the UK king: the English language and our position at the centre of the world’s time zones. Recent trade missions from the industry’s Promote UK group as part of advertising’s first Exports Month to Tokyo, China and the US had also shown the appetite that’s out there for UK ingenuity. Sarah Jenkins’ focus was the creativity we see in the UK, how its sets us apart from the pack, and how it will ‘power us through the uncertainty and challenges of the next few years’. She said: ‘I don’t think British advertising is too big to fail, I think it’s too creative to fall’. For Sarah, the increasing diversity of UK advertising will also be key to its success; with a quarter of new entrants to the industry being from a BAME background, she argued that this mix of background and opinions will enable our industry to continue to thrive. 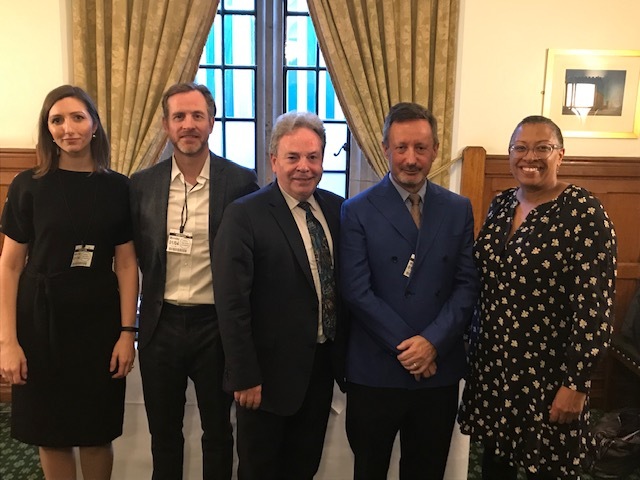 She also called on the Government to get behind the advertising industry in every way it can given its £132bn contribution to the UK economy and the fact we represent ‘one huge awesome mass of creativity’. On the other side of the argument, Matthew Bloxham declared Britain’s future in advertising to be one of ‘second fiddle on the world stage’, with Brexit already dissuading talented European immigrants from coming here to work in our industry. He also pointed to wider economic figures that paint a picture of declining confidence in the UK – from collapsing business investment to sluggish growth of 1.3% in GDP predicted for this year. Business, he said, has no emotion and will move where the expertise and conditions are more favourable and where access to the Single Market can be assured. ‘Talent follows the money’ he commented, and the ‘money is leaving the UK’. Sarah Taylor noted that she had lived in The Netherlands for 12 years before recently returning to live in the UK. She highlighted a number of areas where our Dutch colleagues have upped the ante to win business from the UK with favourable tax rates and an openness to business, while we rest on our laurels. Migration figures appear to bear out this dash to join the Dutch with 40% more UK citizens moving to The Netherlands than prior to 2016, while fewer Dutch colleagues have the courage to head over here. It was then over to the audience to contribute with comments from the floor. There were a couple of mentions of World War II and how the UK overcame even greater adversities than Brexit, while also rebuilding a bombed-out country. Others noted the importance of increasing vocational training for young talent entering advertising in the UK to make sure they are as practically equipped for the world of work as their EU counterparts are. Finally, after a sum up from both sides it was over to the audience for the final vote… and in a heavily split decision, almost 52/48 you might say, The People spoke against the motion. In their opinion, the UK will not be the pre-eminent advertising hub on the world stage post-Brexit. Many in UK advertising must’ve felt like Theresa May on Election Night in 2017: How on earth could we lose? But, just like Jeremy Corbyn and Momentum, the opposition can sneak up almost unawares. 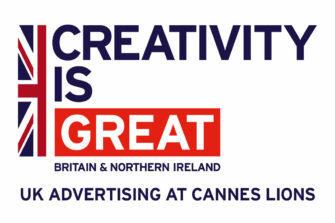 But in all seriousness, the friendly debate and result demonstrated that if UK advertising is to remain the best in the business then, in addition to Government support, it is crucial for all in the business to stand together, up our game and sell ourselves on world stage – whether that be despite, or because, of Brexit.